[map] [street view] Near the intersection of Morriston Road and Pumping Station Road northeast of Hattiesburg. AUX: 6.4 kW @ 738 feet. 60 dBu protected contour map, from the FCC. [Picture] Image of an Insignia HD portable showing the RDS decode of the Radio Text and PI (call sign) fields. 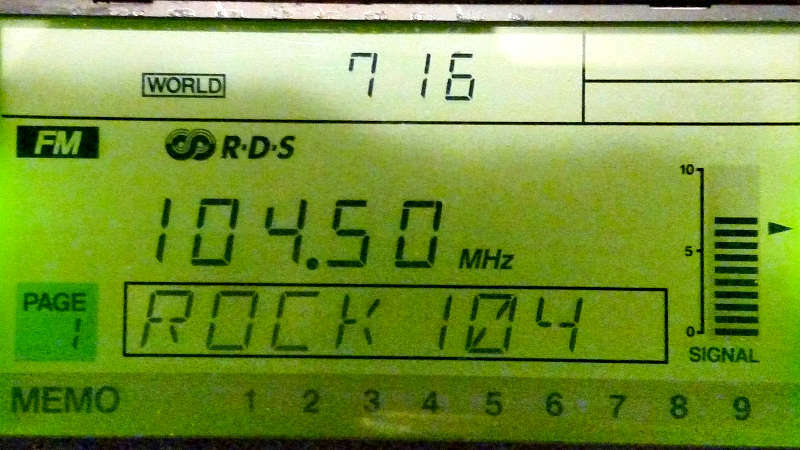 [Picture] Image of a Radio Shack DX-398 display showing the RDS PS (station name) field. [Picture] Screenshot of the FM spectrum from an SDRplay on Windows, showing the RDS Text, PS, PI and PTY fields. This station appears to date back to 1967, spawned from AM 950 WHSY. 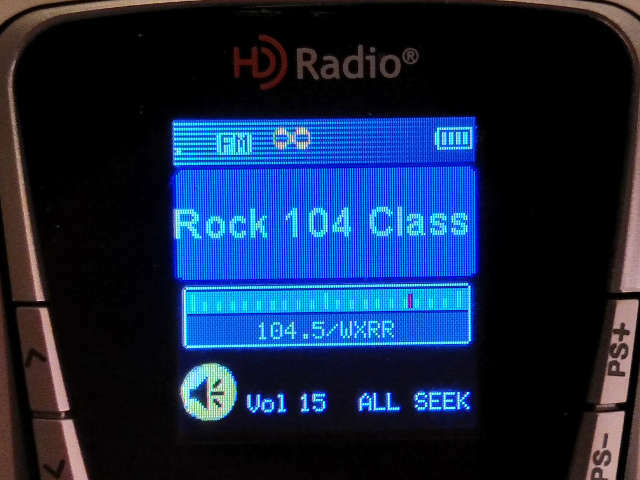 Under the WHSY-FM calls, the station was known as Y-104 and had a rock format. Charlie Holt sold the station in 1994 to Blakeney Communications, who flipped it to a more classic-leaning rock format in April of 1995.